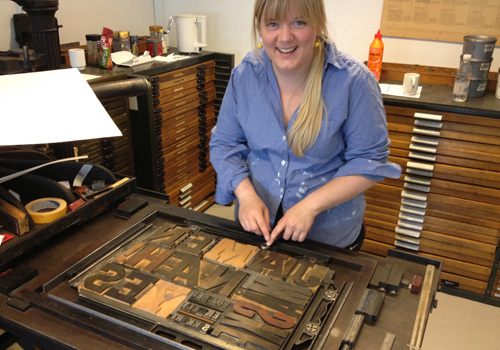 Recently I took a two day letterpress workshop with some friends at Holmen, where the Danish Design School is located. 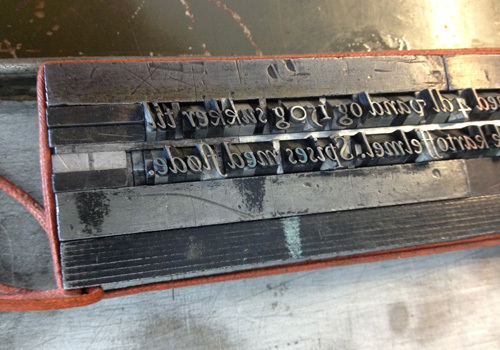 Set at the very edge of the harbor, looking out from the letterpress studio you could see ships coming and going. 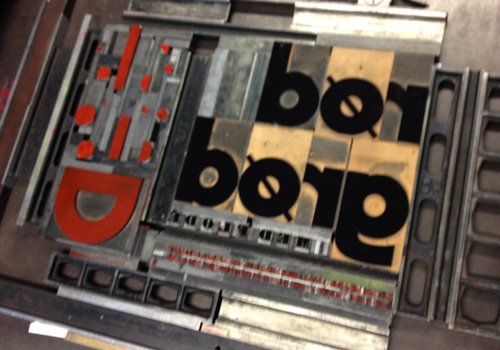 It was a weekend of fun and experiments, playing with the materials at hand, taught by bookmaker and letterpresser Jens Jørgen Hansen. It was interesting to learn the Danish or European measurements system (the cicero) instead of the points and picas used in the USA. I also used tube woven special German string for tying up my type block (no other string would do, said Jens), and learned that “type high” is a relative term, depending on which country you print in. Here are a few outtakes from the weekend. 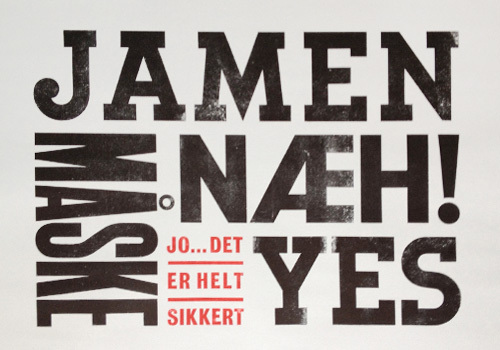 Christa with the final lock up for our first poster: jamen, måske, næh!, jo…det er belt sikkert, yes. 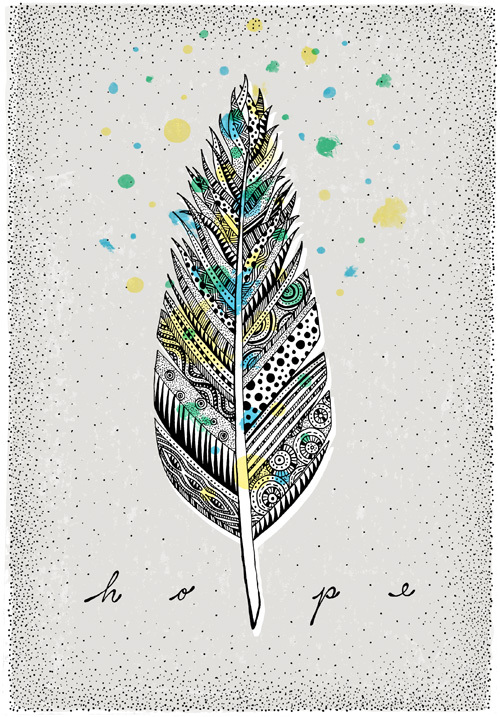 Print (somewhat blurry) of the poster! 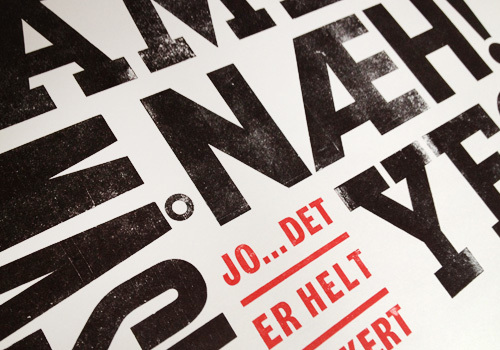 Close up of the poster – nice big wood type. Setting up our second poster: rød grød med fløde. 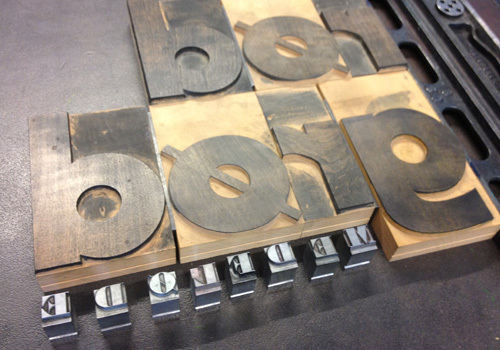 Block of metal type – the recipe for our rød grød poster. 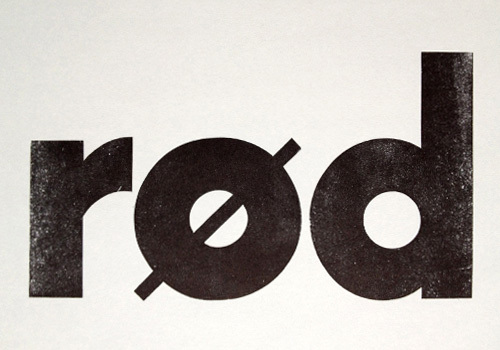 Inked up rød grød poster, with abstract shapes for ingredients and a capital D for a bowl. 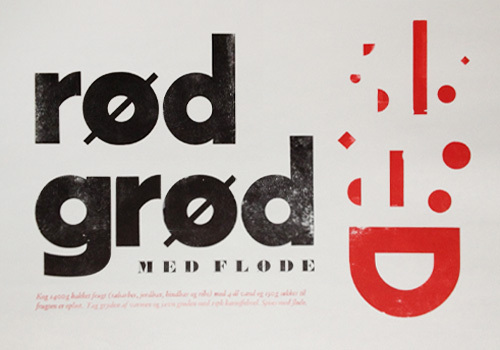 Rød grød poster, printed on a Washington Hand Press. Food is one of my favorite subjects: to look at, to eat, to talk about, to draw. Notice that I do not mention ‘to make’. My entire life there have been people around me who were better at making food than I am. Why not let the cooking experts make the food, and the eating experts consume it? Seems like a logical plan. However, it does result in an achilles heal when left alone. My survival strategy therefore consists of A) making a giant portion of fajitas/dahl/spaghetti that provides sustenance for most of a week, or B) ordering something out that equates to days of leftovers – a very tall order.